PlayCajon with Paul Jennings are three courses that will teach you to play the cajon from the beginner level, through to intermediate and advanced levels. In the beginner course you will learn the fundamentals of the cajon. The course consists of 15 lesson videos that cover all of the basics including: how to sit correctly, the tones, warm ups, basic exercises, first rhythms, rock, and rumba. In the intermediate course you will move on from the basics and take your playing to the next level. 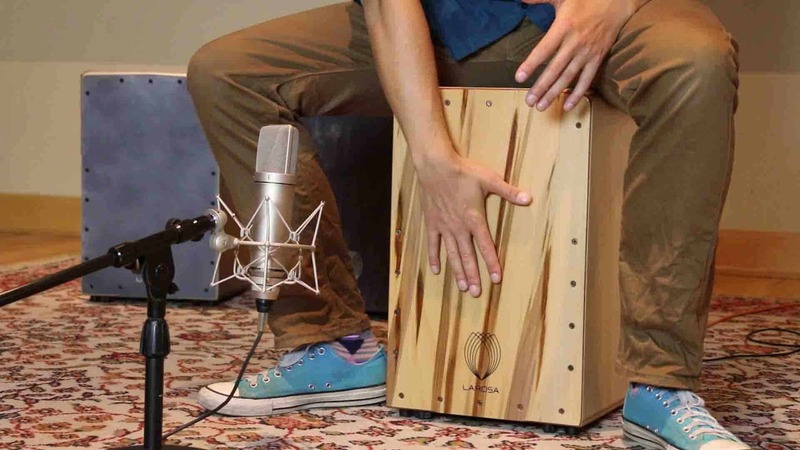 This course consists of 15 lesson videos that cover many intermediate level techniques and rhythms including: how to change the pitch of your cajon with the foot slide, playing rhythms with sixteenth beat ghost notes, playing fills, using the sides of your cajon, and new rhythms including funk, blues, reggae, hip hop, rumba 2 & 3, and train beat. With the advanced course you will move on from the intermediate level up to the advanced. The course consists of 15 lesson videos that cover all many of the key advanced techniques including: bass roll technique, using cymbals and shakers with cajon, using brushes on cajon, thumb triplets, advanced fills, la mano secreta, and rhythms including guaguanco, Purdie shuffle, funk 2, and Flamenco bulerias. PlayCajon with Paul Jennings will teach you tones, techniques, exercises, and rhythms that will give you the tools to take your cajon playing to the next level. Paul Jennings is the author of Hal Leonard Cajon Method and Hal Leonard Djembe Method. Paul began playing music on the remote shetland Isles in northern Europe where he grew up. At the age of just 17 he began touring the world with many of Scotland’s top acts. Paul has performed in over 25 countries with bands such as Jethro Tull, James Devine’s Taperie, Treacherous Orchestra, and many more. He has played a sell-out run on Broadway and has appeared on prime time television shows including ABC’s Live with Regis and Kelly. In 2009 Paul moved to the USA and founded PlayCajon, which is now one of the most popular percussion websites on the Internet with over 2000 paying members and over 43,000 subscribers on YouTube.